The latter part of Chapter 8 of The Principles of Humane Experimental Technique1 considered the role of Special Organisations in relation to the Three Rs, notably the Laboratory Animals Bureau (which later became the Laboratory Animals Centre, but which was closed down in the early 1980s), the Animals Technicians Association (which became the Institute of Animal Technology), and the Universities Federation for Animal Welfare (UFAW). Most of the organisations which are active in the field today, had not yet been founded at that time. It would be impossible to exaggerate the significance to the Three Rs of UFAW, and, in particular, that of its founder, Major Charles W. Hume MC (1886–1981), whose wisdom provided a firm foundation on which William Russell and Rex Burch could build. As Russell put it, “Our story must begin with Charles Hume, for the whole of this grand enterprise began as a twinkle in his eye, which often twinkled”. Hume had founded the University of London Animal Welfare Society (ULAWS) in 1926, with the aim “to mobilise science and scientists to help solve problems over the whole spectrum of animal welfare”, and, by 1938, ULAWS had spread to a number of other universities and had become UFAW. Hume believed that animal welfare problems should be tackled with a maximum of sympathy, but with a minimum of sentimentality. It is fortunate that, in 1962, UFAW re-published 15 of Hume’s articles, in a book entitled Man and Beast,3 lest they be lost in the back numbers of various periodicals, some which were rather obscure and no longer active. In this book, we can read about his ideas on ethical, philosophical and religious aspects of our relations with animals, as well as about some of his campaigns, including that to abolish use of the gin trap, which was a mechanical trap designed to catch an animal by the leg by using spring-operated jaws, with or without a serrated edge or teeth, and thus causing horrific injuries. This particular campaign began in 1928, when the gin traps were in common use in Britain. It succeeded in its aims by 1958, when gin traps were banned in England and Wales (then, subsequently, in Scotland in 1971 and in the EU in 1991). 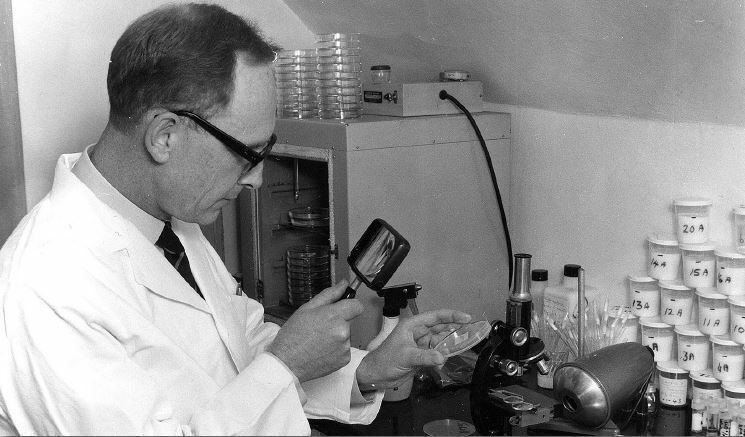 Hume was particularly concerned that the vast increase in laboratory animal use in Great Britain after the end of the Second World War, might have resulted from “the possibility that animals may be used in unnecessarily large numbers”, and he gave a fascinating opening lecture at the UFAW symposium on Humane Technique in the Laboratory in 1957, entitled Soldiers and Laboratory Animals — An Analogy for Experimental Biologists, which was published in The Lancet in 1958.4 Hume had had a distinguished military career in both world wars, and recalled the story of a general at the battle of Passchendaele in World War I, who had earned the nickname of “Plenty-more-men”, because, when criticised for the squandering of his reserves, said, “There are plenty more men, plenty more men”. Hume said that some experimental biologists deserved the nickname of “Plenty-more-animals”. Just as good officers should know their men and should look after them, competent biologists should pay great attention to the well-being of their animals — both because they wish to behave in a humane way, and because it pays them to do so, in terms of efficiency and performance. In another chapter in Man and Beast, on The Vivisection Controversy in Britain, Hume recalls how he persuaded UFAW, with the encouragement of the distinguished zoologist and immunologist, Peter Medawar (who was subsequently to be awarded the Nobel Prize for Medicine in 1960), that there should be a general study on humane technique in animal experimentation. When the go-ahead had been agreed, “We accordingly appointed Dr W.M.S. Russell, a brilliant young zoologist, who happens to be also a psychologist and a classical scholar, to inaugurate a systematic study of laboratory techniques in their ethical aspects”. It is clear that, soon after his appointment, Russell persuaded Hume that he would need some assistance. This became known to Alastair Worden, who had edited the first edition of the UFAW Handbook on the Care and Management of Laboratory Animals and was at work on the second edition, who advised Burch to apply to UFAW to become Russell’s assistant.5 However, as correspondence between Hume and Russell reveals, Burch’s appointment was not a straightforward matter, as the UFAW Council had to be persuaded that such an appointment was necessary.6 At one point, Hume wrote to say that, in the early days of UFAW, he had been able to do absolutely what he wanted, but those days had now gone, though he had to admit that, after what had recently happened with Hitler, it was a good thing that UFAW was now more democratic, even if it was sometimes inconvenient! The origin of “Three Rs” to indicate replacement, reduction and/or refinement is less clear. The term was not used in a short paper by Russell, published in 1955,8 but was used by him in 1957 at the UFAW symposium,9 as Burch later confirmed.5 Hume recognised the great importance of the term on various occasions,3 but he always gave the main credit for The Principles to Russell, when he said, for example, that “Russell has conveniently classified the problem of humane technique as what we call the Three Rs”, that “Russell has a good deal to say about what he calls the ‘high-fidelity fallacy’”, that “I now come to Russell’s third R, refinement”, and that “next there is what Russell calls ‘direct inhumanity’”. 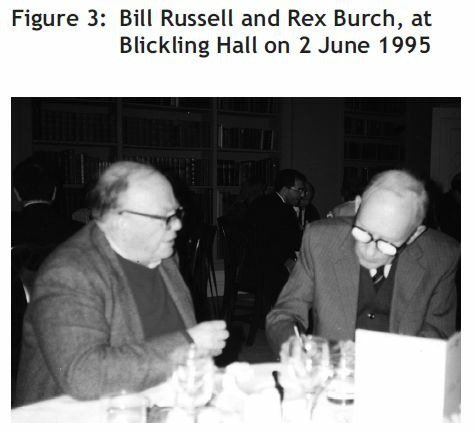 The only references to RLB are to “the publication of a remarkable book by Russell and Burch entitled The Principles of Humane Experimental Technique” and to “Russell and Burch’s very remarkable book”. Thus, despite the working lunches and the reports made at them, Hume appears not to have thought that RLB had much to do with the original concepts and the proposals which arose during the project. In mid-1959, after the publication of The Principles, Burch did apply for Membership of the Institute of Biology. The Secretary of the Institute wrote to Russell on 16 July 1959, seeking information on Burch’s contributions to their joint enterprise. Russell’s reply of 22 July 1959 is an absolute masterpiece of letter-writing, and is typical of the sincerity and generosity which some others in the Three Rs world came to experience when we had the privilege of being befriended by this great man more than 30 years later. Russell explained that, while he had written the actual book, their work was “an entirely new sort of study”, which “required constant evaluation of biological techniques, and a rather wide biological background”. 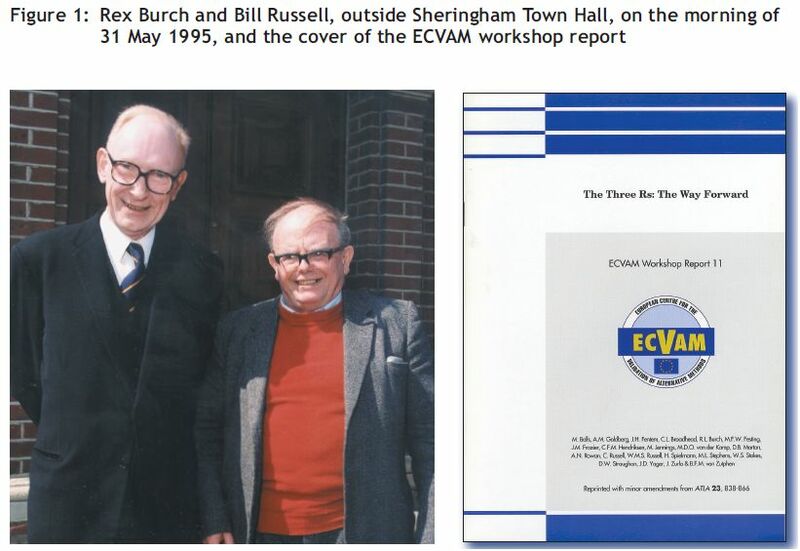 He said that “Burch fully met these requirements”, and wrote “a large number of reports, which showed not only competence but considerable initiative”. He added that, “for the purpose of his application… it would be fair to regard him as a full co-author of the book, and on the basis of his work for me I would fully support his application. When I checked with the Institute on 14 May 2009, I was rather surprised to learn that RLB “was elected to Membership on 10 July 1959”, i.e. before the Secretary’s letter to Russell was sent or Russell’s reply was received. 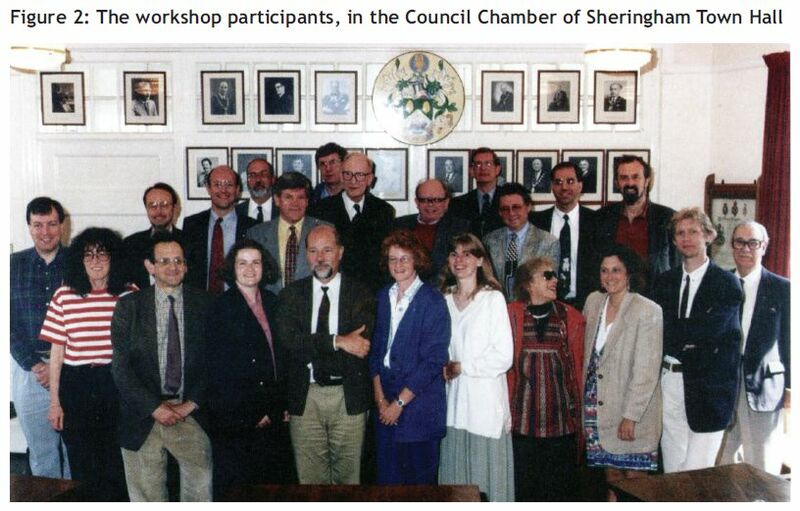 One possible explanation is that the election on 10 July was provisional, and subject to the receipt of satisfactory replies to enquiries that the Secretary was asked to make. The Institute also informed me that the records “show that Mr Rex Leonard Burch was elected to Fellowship on 18 June 1987”. I am sure that that will have given much pleasure to both authors of The Principles. With establishment of the W.M.S. and Claire Russell Archive at the University of Nottingham, over time, much more will emerge about the deeply meaningful and often amazing events that occurred before, during and after the publication of The Principles, the sheer decency of the great characters who were involved, and the fascinating relationships between them. 1 Russell, W.M.S. & Burch, R.L. (1959). The Principles of Humane Experimental Technique, xiv + 238pp. London, UK:Methuen. 2 Russell, W.M.S. (2005). The Three Rs: Past, present and future. Animal Welfare 14, 279–286. 3 Hume, C.W. (1962). Man and Beast, 222pp. South Mimms, Potters Bar, Herts., UK: UFAW. A paperback edition, published in 1982, is available from UFAW (see: http://www. ufaw.org.uk/public.php). 4 Hume, C.W. (1958). Soldiers and laboratory animals— an analogy for experimental biologists. The Lancet, 22 February, 424–426. 5 Burch, R.L. (1995). The progress of humane experimental technique since 1959: A personal view. ATLA 23, 776–783. 6 Balls, M. (2009). The origins and early days of the Three Rs concept. ATLA 37, 255–265. 7 Russell, W.M.S. (1996). Editorial: Rex Leonard Burch (1926–1996). ATLA 24, 313–316. 8 Russell, W.M.S. (1955). A research on the history and progress of humane experimental techniques. UFAW Courier 11, 16–20. 9 Russell, W.M.S. (1957). The increase of humanity in experimentation: Replacement, reduction, refinement. Coll ected Papers of the Laboratory Animals 6, 23–25.